Suizen-ji Jōju-en is a traditional Japanese garden landscaped around a natural spring pond. It was built by the Hosokawa family in the 17th century. 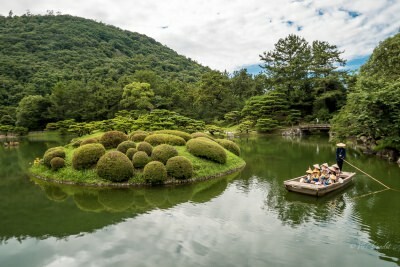 The most interesting aspect of the garden is that it reproduces the 53 post stations of the Tokaido, the road, which connected Tokyo with Kyoto during the Edo Period, in miniature form, including a small Mt. Fuji. The Adachi gardens feels like part of a painting. Too bad visitors cannot touch or walk among the heavenly garden. 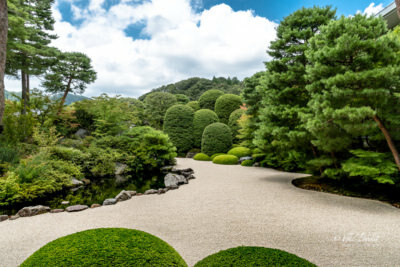 The garden is the brain-child of Adachi Zenko who created it in 1980 as a way of combining his passions for Japanese art and garden design. Ritsurin Garden is a chestnut grove garden, one of the most famous historical gardens in Japan. 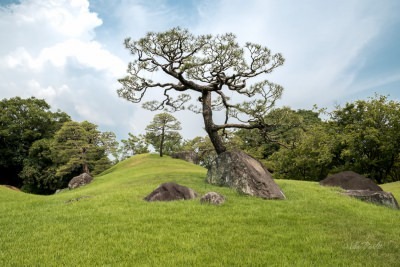 The garden is situated in the city of Takamatsu and dates back to the early 17th century. The garden has six ponds and thirteen mounds strategically placed to use Mt Shiun as a background. Different flowers bloom all year round with the scenery changing with every step I took. We pay a visit to the ancient temple of Hasedera where the Ajisai is in full bloom in the monsoon season. 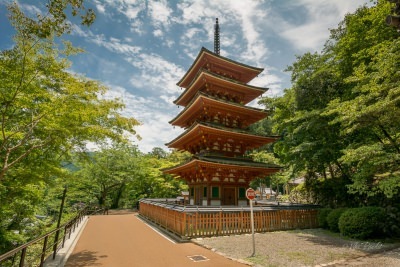 The 1300 year old temple is also known as Ajisaidera or Hydrangea Temple, because of the hundreds of hydrangeas splashing the temple gardens in vibrant colors.